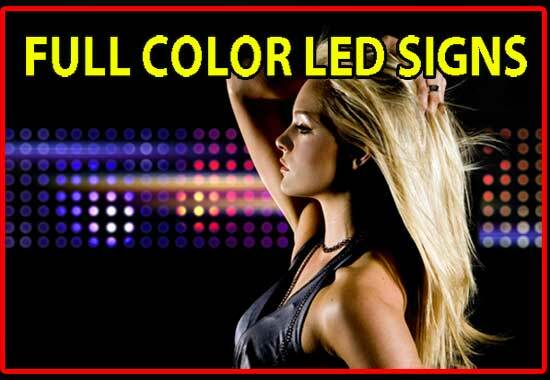 Wow, if a picture is worth a thousand words these full color LED Signs can tell your story pretty quickly. Full Color LED signs and digital signs come in multiple shapes and in sizes. These digital signs are single sided LED signs. They make perfect window signage. 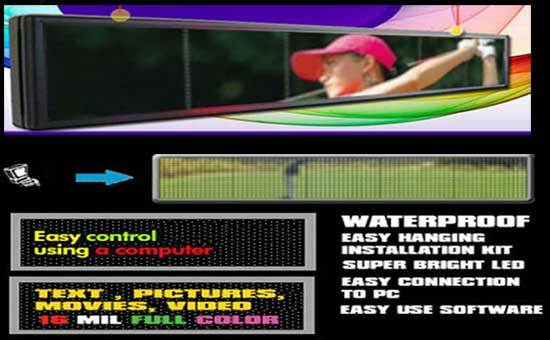 The LED displays ship with the necessary hanging hardware! Take a look around at our sample LED display pictures and our LED sign videos, if there are any questions, let us know! If you are interested in more information on a particuliar digital sign just click the add to cart button to view the price and other information. The add to cart button does not obligate you in any way. This just pulls up more information on the LED displays! Other sizes and double sided units available upon request!